The first step in remodeling should always begin with a list of all the things you’re looking to change in your bathroom. Everything from the vanity, counter tops, flooring, sink, shower and bathtub need to be considered. 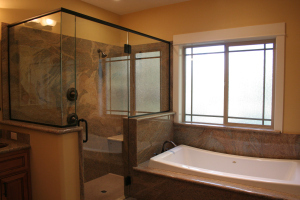 Whether you are looking for a gorgeous, traditional bathroom, a stylish and contemporary bathroom or even a fun children’s bathroom, E & M Remodeling will certainly meet and even exceed your highest expectations. This, along with the current condition of the room, will help determine the scope of the job and provide the direction to more forward. 1. Find an experienced contractor who stands behind his work. With years of experience as a building contractor, I know the industry inside and out. I will stand behind our craftsmanship to GUARANTEE you’ll be pleased with our work. 2. Select a contractor who’s not only “hands-on” but also “on-site.” Not only am I there on-site to personally supervise each of our jobs, I am also hands on involved in the tear out and construction process to make sure every aspect of your job is handled with the proper expertise and efficiency. 3. Make sure your contractor is LICENSED and INSURED. Many times, homeowners are not made aware of the risks and liabilities they incur when they hire unlicensed and/or uninsured workers. E & M Remodeling is fully licensed and insured to work anywhere within the state of Oregon. 4. If new cabinetry is being installed, save money by going “factory direct.” Because of our years of experience within the industry, we have established relationships with several cabinet manufacturers. We buy DIRECT, thus eliminating costly mark ups and we pass those savings on to YOU. 5. Ask for references. Our list of happy, satisfied customers throughout the area is rapidly growing and we are more than happy to supply names and contact information for these customers on to you. I established E & M Remodeling with my wife Melissa in 2005. While many remodeling companies that state they have been in business for 20 years are in fact adding up the years of experience of their staff, I can assure you that the 18 years of experience behind E & M Remodeling are entirely my own. Owning my own company was a natural progression for me, after working in the home construction business for years for prestigious companies such as Golden West Homes, Mid Valley Gravel, and Knife River. With a background in building from the excavation process to a finished home I have the ability and skill to detail every job I do, and make sure it meets my high quality standards. Having been a Project Manager, where I managed an entire homes, subcontractors, employee’s and dealing with every single aspect of building a house, I can and will go through every step of the remodeling process with you, ensuring nothing is left out. We start at your home to discuss your remodeling needs and desires. You will always be dealing with me or my wife and partner in our business, Melissa, for any questions along the way. While I work with several of the area’s best remodeling subcontractors – each of them experts in their particular specialty – I will personally supervise their work and be available at any time to answer any questions about your project. This personal touch is what sets us apart…I want you happy and informed every step of the way so you feel confident and secure in your decision to work with us. While we look at your current bathroom, I will ask questions about your likes and dislikes. In order to make specific remodeling choices, we may need to address “hidden” issues such as plumbing and wiring adjustments. Showing me pictures of the type of Bathroom you’re thinking about (taken from magazines, catalogs or web pages – including ours) is extremely helpful. That helps me understand whether we’re considering a classic or more contemporary look and feel. 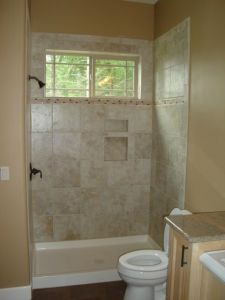 A complete makeover of your bathroom will take approximately two to four weeks from start to finish (be cautious of those who tell you they remodel bath in only a week or so) depending on your specifications. I may deliver your bathroom sooner than I promised but never after. Pick a time to remodel when you will not be hosting any special events in your home (for many seasonal residents, we have worked while they are away). We do not tear out your bathroom until your new items are ready to be shipped. That helps keep the time you are without a bathroom to a minimum. We will look at bathroom plans and decide on the best one based on your needs, desires, budget and time constraints. We’ll find the floor plan that’s right for you. Before remodeling, we will protect all areas of the house – walls, carpet, and furniture – and install barricades to prevent small children, elderly family members or pets from entering the work area. I will supervise the job and our subcontractors from start to finish, making sure all the work is done according to plan and the details turn out perfect. What kind of wood finish do you like? What style of cabinet doors do you like best? What kind of counter top do you want? What do you want as a back splash? What do you prefer for your vanity’s and drawers? What kind of sink fits your needs best? 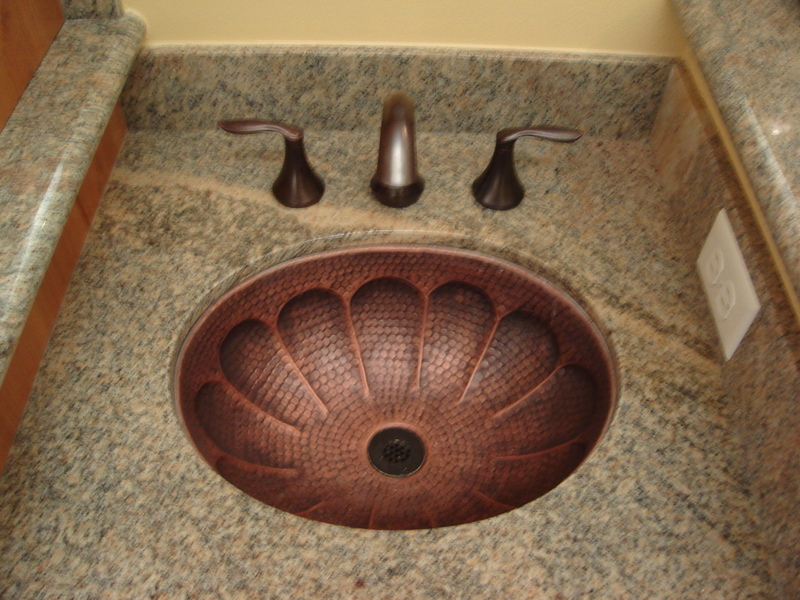 What kind of material would you like for your sink? Which type of bathtub do you prefer? What features do you want for your shower? What other specialty’s do you want to add? What type of floors do you envision? How many colors of paint would you like? Based on your wants and needs, we’ll discuss different budgets and styles for your bathroom, and or total remodeling project. Upon your approval, I will prepare a detailed estimate. We will then create a contract and establish completion dates for specific phases of the work. Draws will be paid on those dates with the final draw due upon completion. Once our remodeling is completed, we will do a walk-through together to assure everything has been done as promised in the initial estimate. We provide a one-year warranty on all our work, but know that you can call me at ANYTIME if you feel something is just not right and I will work with you to correct.